BMW 8 Series To Spawn Gran Coupe, Shooting Brake And Pickup? We suspect at least one of these will see the light of day. Just days after the , discussions immediately sprung up regarding future iterations of the long-awaited luxury coupe. Would there be a high-performance M8? That question was with a resounding: yes. We’ve subsequently taken a look at what a thanks to X-Tomi Design and the same rendering artist has now unleashed a trio of other variants to fire the flames of further discourse. We'll begin by immediately ruling out the possibility of a BMW 8 Series pickup. Never gonna happen. But something that all car renderers love to contemplate. 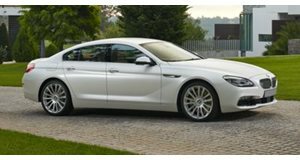 While , we have serious doubts that BMW will follow suit and are confident that if they did, the 8 Series would not be the car to adopt the body shape. 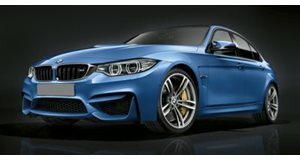 A , but that was just for fun and despite calls for BMW to put it into a limited run production, it will remain a one-off. Next up is the 8 Series Shooting Brake. If made, this would go up against the likes of the Ferrari GTC4Lusso, Porsche Panamera Sport Turismo, and Mercedes-Benz CLS. This is a very niche market and we’d be stunned if BMW is considering this. Stranger things have happened though so don’t rule it out completely. We’ll conclude with the most realistic of the possible variants: the 8 Series Gran Coupe. We know that – or at least put it on hold – to make room for the 8er. That means we can say goodbye to the gorgeous 6 Series Gran Coupe, which will soon go out of production. With an extra set of rear doors, this vision of an 8 Series Gran Coupe looks fantastic and we would be very surprised if BMW didn’t release this sometime in 2019, around a year after the coupe is unveiled.